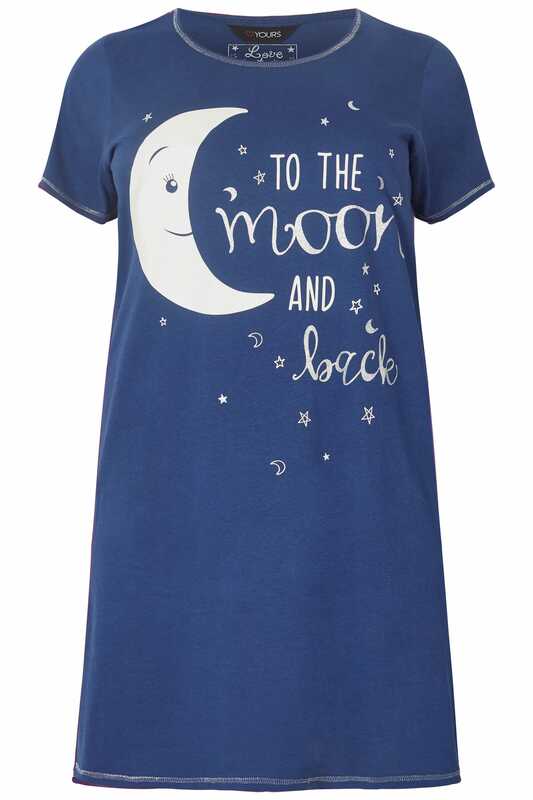 Keep your nightwear collection fresh with this cute nightdress. 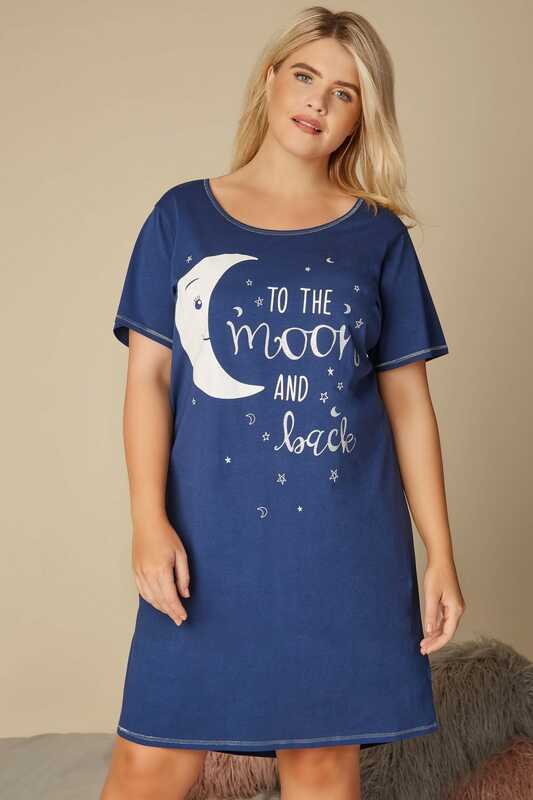 Made entirely from cotton for extra comfort, it is cut to a midi length and offers a slight curved hem, short sleeves and a simple scooped neckline. 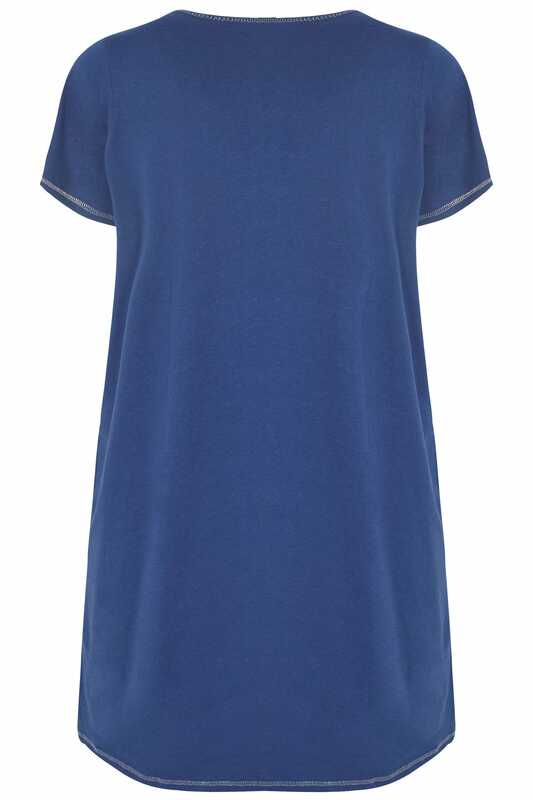 Snuggle up and team with a fluffy dressing gown and a pair of knitted slippers. 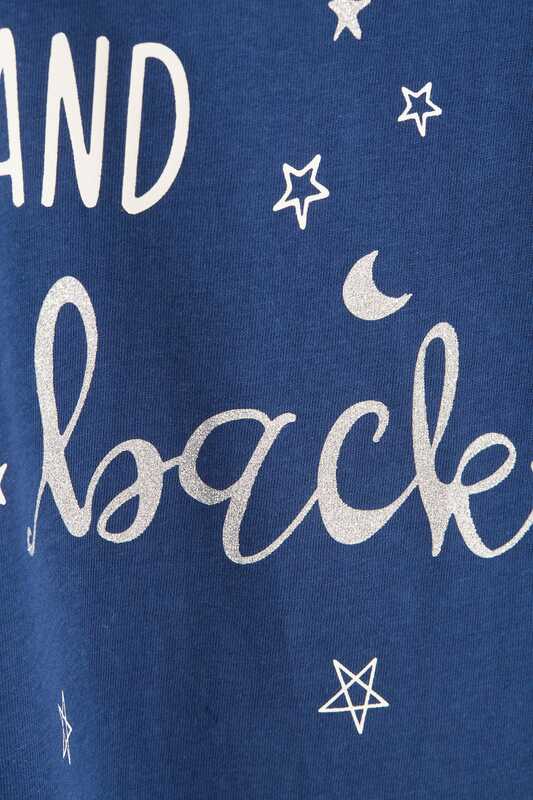 In a dark blue hue with a 'To The Moon And Back' slogan print, it sparkles with a dusted glitter finish.